We would like to introduce you to Bromley. 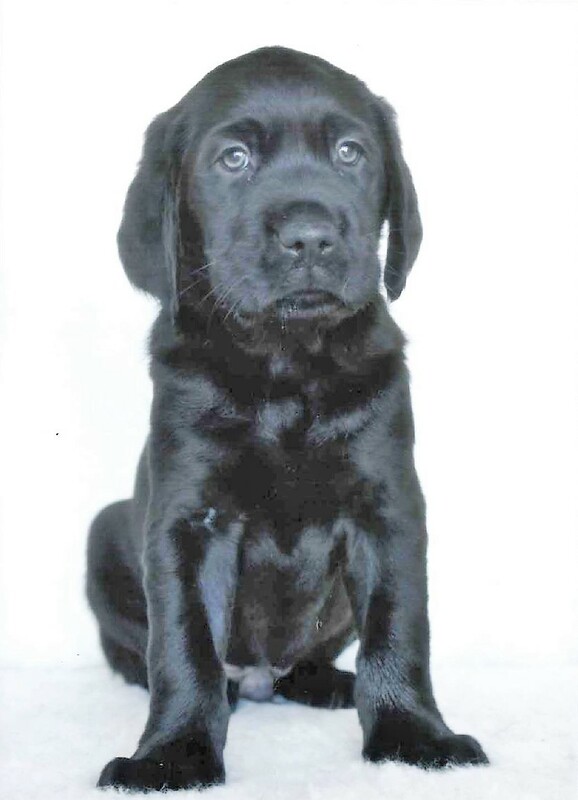 He was born on the 26th December 2017 and has just been placed with his Puppy Walker who will start to teach him the skills that he will need as a future Guide Dog. 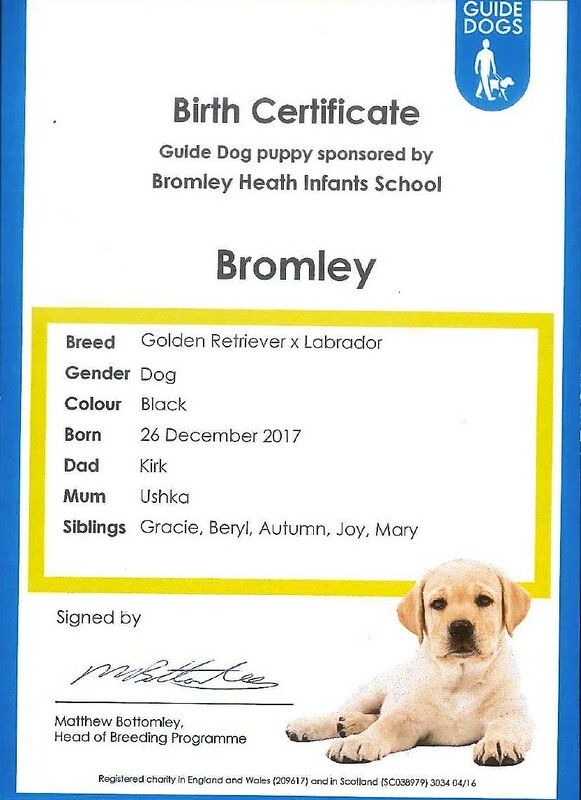 Please see the attached naming certificate and picture of Bromley at between six and eight weeks old – I am sure you will agree he is adorable. The Guide Dogs Association will endeavour to organise a visit with Bromley when he is ready to meet the children. We will try to arrange this as soon as possible after Bromley is settled and ready to meet us. I am sure you will agree the visit will be a really special occasion.